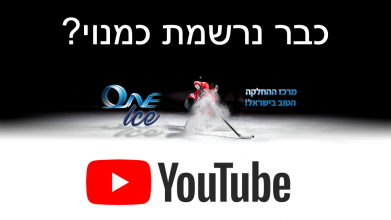 The new ice arena is the most modern and advanced arena in Israel. The arena will be opened soon and will feature two ice rinks, including an NHL sized one. 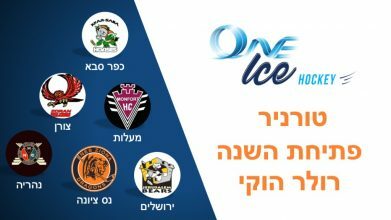 One Ice Arena is located 10 minutes from Netanya and about 30 min from Tel Aviv. It will be the home to our academies and will offer skaters, hockey players and everybody else a highly professional skating experience. After nearly 25 years of running an Inline Hockey Academy, we finally have a new “icy” home in One Ice Arena. Now, we can focus almost solely, on Ice Hockey. We have professional hockey classes for kids, starting at pre-elementary school, as we’re looking to grow a new generation of talented Israeli players. Few of the Academy alumni already found their way to professional hockey schools in Canada and other places worldwide, and some are already paving their way to the world’s best professional hockey leagues. Our newly opened professional Figure Skating Academy, is focusing on developing the sport in Israel, growing a new generation of young skaters and assisting young talents to compete in world-class events.